In MetaTrader 5 for Android, it is now possible to easily create preliminary brokerage accounts. 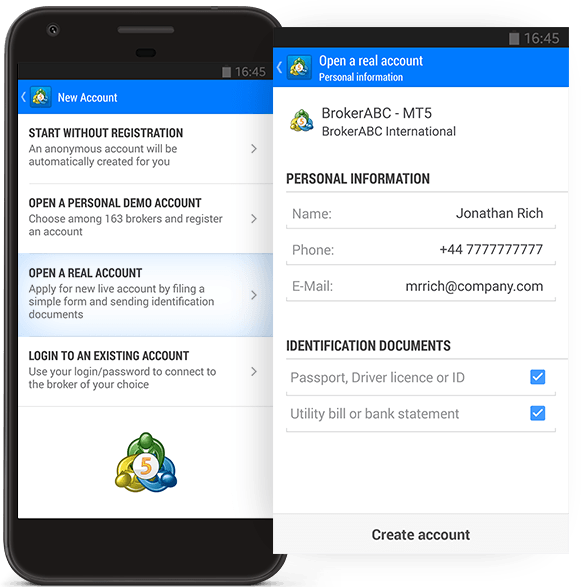 Select "Open a real account" from the menu and find your broker in the list of servers. You will only need attach two documents, including your identity document and a bank account statement. Your request will be forwarded to the broker, who may request additional information required for account opening.